This super fine ancient clay comes from deep below the Atlas Mountains in Morocco. Although it is difficult to obtain from the deep clay beds, it has been used for centuries by the ancient people of Rome & Egypt. Rhassoul is rich in minerals such as Silica, Magnesium, Iron, Calcium, Potassium and Sodium and helps detoxify the skin while it exfoliates gently. 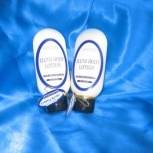 It leaves your skin silky smooth, removes impurities and toxins but does not strip all the oil from your skin. 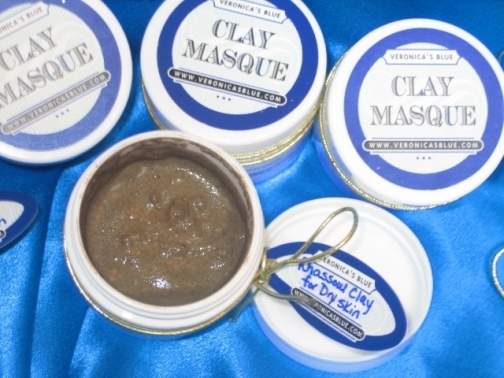 It is a reddish/brown clay that blends extremely well with water, making its application to the face and skin a smooth and delightful experience. 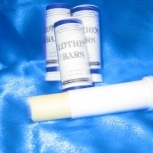 It has been used for over 1400 years as a soap, shampoo, and skin conditioner, and is used by the finest spas around the world..
Its extraordinary power of absorption makes it more effective than other clays for cleansing, de-toxification, and general skin treatment. Rhassoul contains higher percentages of silica and magnesium along with potassium and calcium, than other clays. 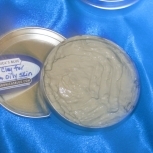 It is known for its skin purifying properties; the minerals in this clay absorb impurities in the skin, leaving it soft and glowing with rediant health. Apply to cleansed face. Let sit 15 minutes. Rinse with warm water.